Global Diamonds invites you to visit their showroom this Friday and Saturday, February 9 & 10 for their Valentine’s Designer Showcase. This year, they’ve curated an exclusive collection of bridal and fashion jewelry from Fana as well as well as other popular designers in the industry! On Sunday, April 15, the St. Augustine Amphitheatre will proudly present pop music legends The Beach Boys live in concert. Tickets for The Beach Boys go on sale this Friday, February 9 at 10 a.m.
You can capsulize most pop music acts by reciting how many hits they’ve had and how many millions of albums they’ve sold. But these conventional measurements fall short when you’re assessing the impact of The Beach Boys. This band has birthed a torrent of hit singles and sold albums by the tens of millions. But its greater significance lies in the fact that it changed the musical landscape so profoundly that every pop act since has been in its debt. JACKSONVILLE, Fla. -- Attention dogs and fellow owners!!! Do you wish you could just hang out while your pups play for a while? Well, one Jacksonville startup company is allowing customers to do just that! The city’s first ever dog park/coffee and beer bar will open in the spring allowing pet owners to drop off their furry friends and then relax by the beer and coffee bar. At Kanine Social, you can stop by the bar which will serve 25 local and regional craft beers on tap plus coffee and wine for you to savor. 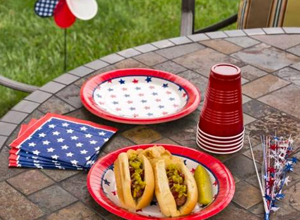 They will also offer doggie valets, coffee to go, and growler and crawler fills after a long day at the office. Kanine Social offers a wide-range of daycare options as well as a private indoor/outdoor dog park at their location, 580 College Street. Annual Memberships for Kanine Social are going on sale Monday, February 5 with a limited amount priced at just $200! Crane Ramen will be opening a location in Five Points at 1029 Park Street. They will be located between 8th Day Tattoo and Jane Doe Boutique. They are expected to open by the end of February and are planning on having a cocktail bar at the location. They have another location in Gainesville which opened four years ago. Crane Ramen was Gainesville’s first craft ramen restaurant, serving scratch-made broths topped with the finest ingredients. Their dishes are also great for sharing and pair well with their signature cocktails, craft beer, or premium sake. All of their broths are made in house and take over 24 hours of slow simmering to create the rich and delicate flavors. Their menu will include several varieties of ramen, including market veggie miso, pork-bone broth ramen, spicy pulled pork paitan ramen and a cold ramen tossed with vegetables in a ginger dressing. Other choices include pan-fried pork dumplings, pork belly steamed buns and wok-fried chicken thighs. Crane Ramen will be open from 11 a.m. to 11 p.m., with the bar open with a limited menu until 2 a.m. The Patriots will face the Eagles in a Super Bowl for a second time this Sunday February 4th and while what happens on the field is of the utmost importance, what happens when the telecast goes to break is a pretty big deal too. The Super Bowl is not only one of the single biggest sporting event every year, but its massive viewership also makes it one of the biggest marketing opportunities for brands each year. That's why a 30-second television commercial during this year's big game will average over $5 million. It's no surprise that advertising during the Super Bowl has become somewhat of a competition on its own, since many people who aren't all that interested in the game itself will tune in just for the commercials. Brands will often get the help of celebrities or use other strategies to get people talking about their advertising. Below are some of the companies and their ad titles that you can expect to see on Super Bowl Sunday. Bud Light - "The Bud Knight"
Coca-Cola - "The Wonder of Us"
Budweiser - "Stand By You"
Atlanta Ga - The Jacksonville Jaguars will face-off against the Atlanta Falcons tonight in the fourth and final preseason game. Both teams will have limited action from their starters, so the biggest question is "Why watch the game? It doesn't mean anything". And you would be correct, but I'm going to give you five players to keep an eye out on tonight. 1. 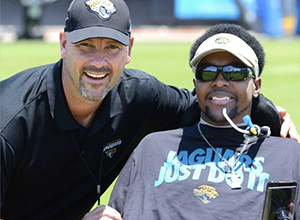 DE Andre Branch The second-year player was supposed to be the ideal guy to fit head coach Gus Bradley's Leo position in his defensive scheme. He hasn't done much of anything during training camp and even less in the games. 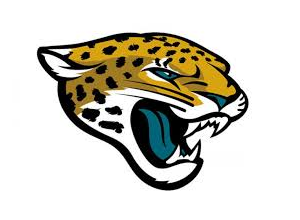 Although it is unlikely to see a second-round pick cut after one year, if he doesn't do something to show the staff that he's worth keeping, tonight may be the last time you see Branch in a Jaguars uniform. Ponte Vedra Beach, FL (October 27, 2014) — The Ponte Vedra Concert Hall welcomes the First Annual Gamble Rogers Fest to Ponte Vedra on Saturday, December 6, 2014. 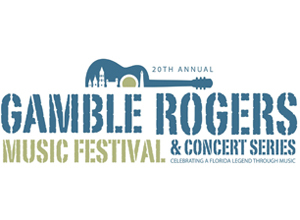 Celebrating 20 years of music production and support of music education, the Gamble Rogers Folk Festival Inc., a 501(c)3 non-profit charitable organization, will present a one day Americana music festival at the Ponte Vedra Concert Hall on Saturday, December 6, 2014. This festival will complement the annual schedule of concerts and the Gamble Rogers Music Festival held at the St. Augustine Amphitheatre in May. 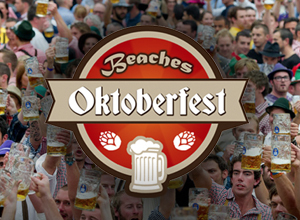 Jax Beach is getting ready for their very own Oktoberfest. There will be live music, food trucks, games and much more. The festival, free and open to the public will be on October 25 and 26th at the Sea Walk Pavilion. Complete with polka bands, a food truck village and the best view at the beach, the Beaches Oktoberfest is an event you wont want to miss. Happening on Saturday October 25 and Sunday October 26th at Sea Walk Pavilion in Jacksonville Beach, the 2 day festival has something to offer for all ages. There will be a chug n run on Saturday at 2:30 pm and other contest like a brat eating contest and stein holding contest on Sunday. 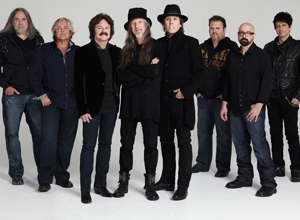 St. Augustine, Fla. (October 20, 2014) – Four-time GRAMMY winning band The Doobie Brothers will open the St. Augustine Amphitheatre 2015 concert season on Friday, February 27 with special guest The Marshall Tucker Band. Tickets go on sale to the general public this Friday, October 24 at 10 a.m. The Doobie Brothers have rung up a glittering track record that would be the envy of any band. Beginning with their multi- million-selling sophomore collection Toulouse Street (1972), the Doobie Brothers have 3 multi-platinum, 7 platinum and 14 gold albums. Their Best of the Doobies (1976) has sold more than 11 million copies – a rare “diamond record.” Their propulsive roots-based, harmony-laden, guitar-driven style has sold more than 30 million albums. No. 1 singles “Black Water” (1974) and “What a Fool Believes” (1979), both gold, lead a catalog of indelible songs that include “Jesus Is Just All Right”, “Rockin’ Down the Highway”, “Long Train Runnin”, “Take Me In Your Arms” and mores. In all, the Doobie Brothers have tallied up 5 top 10 singles and 16 top 40 hits since forming in 1969. 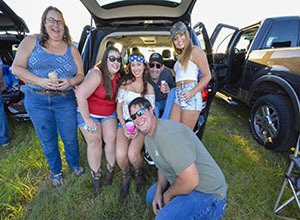 On Saturday October 4th, in Gainesville, Florida I got a chance to check out Luke Bryan’s Farm Tour at Whitehurst Cattle Company. Many people came from Jacksonville and all around to see him. It was a sold out show! Luke Bryan’s farm tour is the highlight of the fall season. He has been to Florida for his Farm Tour before, but his closest concerts were in Tallahassee or Valdosta, Georgia. This year he came to Gainesville so 904 Happy Hour got the chance to see him. Luke’s show started out with his opening act Cole Swindell. He is known for his songs “Hope You Get Lonely” and “Chillin It”. Cole is also a songwriter for other artists such as Luke Bryan, Florida Georgia Line, Craig Campbell, Randy Houser, Scotty McCreery and Thomas Rhett. He even performed “Give Me Some of That” which he wrote for Thomas Rhett. I really enjoyed his performance and I know Jacksonville fans will be seeing him later on this month during Florida Georgia Weekend. St. Augustine, FL (September 29, 2014) – Daryl Hall and John Oates, the number one selling duo in music history, are coming back to the St. Augustine Amphitheatre to perform on Saturday, December 6 at 8 pm. 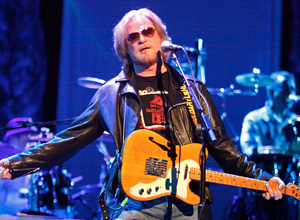 Daryl Hall and John Oates last performed at the St. Augustine Amphitheatre on March 1, 2013. Tickets go on sale to the general public this Friday, October 3 at 10am. Splash into The Landing for free boat rides, water games, live entertainment, water slides, bounce houses, vendors, food, giveaways and more! Event is open for ALL ages. 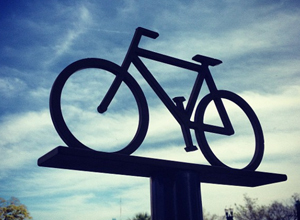 Now, you can rent a bike in Downtown Jacksonville from the Riverfront Hyatt. Cruise around Jacksonville with Hyatt’s new bike service, a fun way to view the city up close while feeling the warm Florida sun on your face. Pedaling up and down the riverfront is an experience you can only appreciate here in Jacksonville. At the Hyatt, rentals are available 24-hours a day from the concierge desk so guests can cruise the Riverwalk to catch a sunrise, pedal Hyatt’s 2.25 and 3.75 mile detailed routes through downtown or check out the area’s shopping, dining and nightlife destinations. All that stands between you and your exciting excursion is a stop by their Concierge desk. 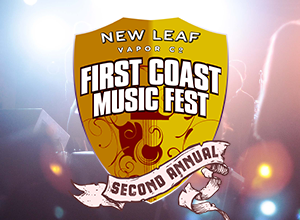 New Leaf First Coast Music Fest announces two day local music festival! The Second Annual First Coast Music Fest has been announced for Labor Day weekend; August 30th and 31st, 2014. 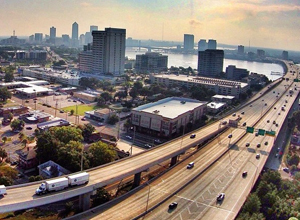 The New Leaf First Coast Music Fest is Jacksonville’s largest local music festival to be held at Underbelly, 1904 Music Hall, and Burro Bar; all in The Elbow district of downtown. This year the festival has expanded to two days and will feature some of Jacksonville’s most talented bands on four stages.